Today I'm sharing with you a wall hanger I made with one of my old Magnolia images called Snowstorm Tilda. Image was released in 2016 as part of Aspen Holidays collection. Image was colored using Distress ink pads on Langton 300g HP watercolour paper. Dies used are from la-la land crafts and C.C. Designs. 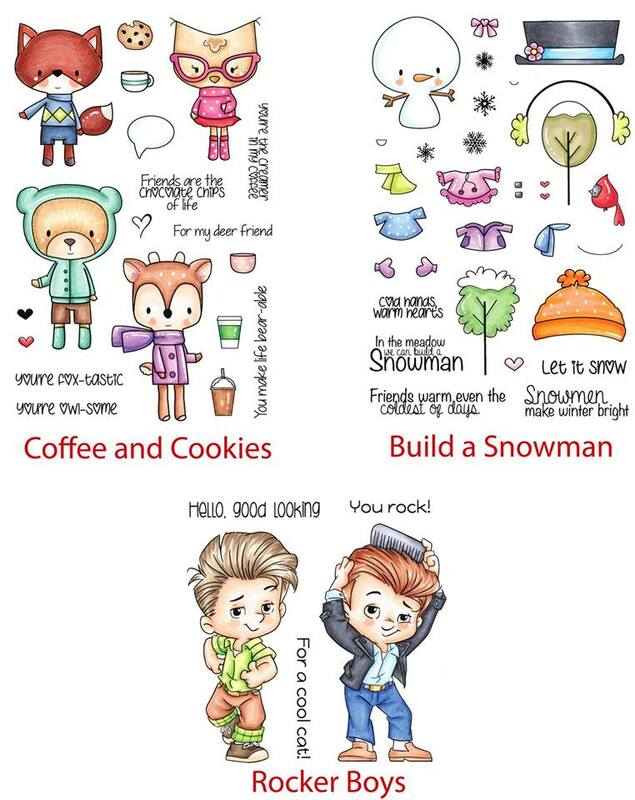 Design papers used are from Laserowe love - Arctic Sweeties. Today I'm sharing with you my Build a snowman Treat Boxes. I loveee this clear stamp set and I really enjoy using it on different projects. These boxes were made for my co-workers. I added some home made cookies inside and I really hope they'll like them. Images were stamped on Langton 300g HP watercolour paper, coloured with Distress ink pads and then cut out using Build a snowman Outline dies. 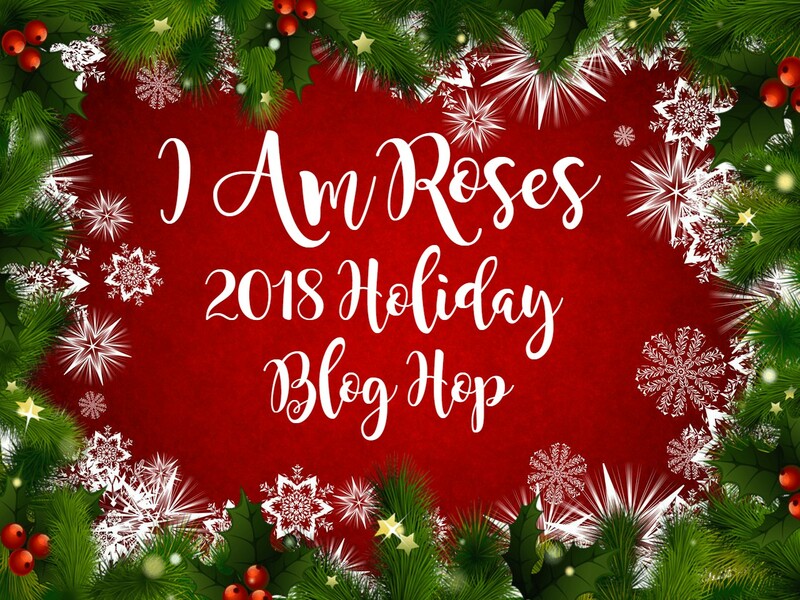 Welcome to I am Roses 2018 Holiday Blog hop!!!!!! For this year's blog hop I made a card which is all about enjoyment, pampering, relaxing ... Image used is brand new from Magnolia. Tamara Potocnik (You are here now)!!! This week's theme at la-la land crafts is Baby it's Cold Outside (Use new release). I'm sharing with you one of my last 2018 Christmas card. I recently received Magnolia's Christmas calendar and even though the theme of the stamps and dies inside is not Christmas I decided to make a Christmas card with it. If you order the Christmas calendar from Swedish House Crafts use code TAMARA and you'll get a free pack of 10 tags with paper strings!!!!! Images were coloured using Distress ink pads. Sentiment used is from Magnolia too (Home for the Holidays Stamp Sheet). Design papers used are from Maja Design - Christmas season. I used one of my newest dies on this card, it's a Merry Christmas circle from Gummiapan. Tamara here with you. I made a masculine card using one of the new Rocker boys. Image was coloured using Distress ink pads. I used the new Quad collage die on this card. Today I have a puppy Christmas card for you. I masked three Magnolia's old images together and then covered them with white chunky embossing enamel to make it look like snow. Pretty papers used are from Maja Design. Images were coloured using Distress ink pads on Langton 300g HP watercolour paper. Dies used are from Magnolia. Welcome to C.C. Designs December release Preview Day 1! Today I'm showing you my first card from C.C. Designs' December release. This month we have a fun Winter release. My first card features Build a snowman clear stamp set with Build a snowman outline dies (love them!!!). I created a fun winter scene using different dies. The background was made with Distress oxide inks. On my first card I used one of the Santas from Deck the Palms set. Today I'm sharing with you a Christmas card I made using of the brand new Magnolia's images from Home from the Holidays set.This set will be in the store soon!!!! Image was coloured using Distress ink pads. Design papers used are from Maja Design - Joyous Winterdays. You can get the latest Maja Design's Christmas collection HERE. Image used is called Tilda Cirque and it's from the last Magnolia's collections called Le Cirque. For - 10 % use CODE TAMARA at check out (code is only valid on Saturday and Sunday)!!! You can have free worldwide shipping on complete collections with no code. 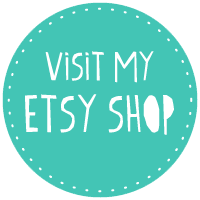 For individual items you can have 10% off with my code. Flowers added are from I am roses, Thailand. Today I'm sharing with you a sweet, pink and girly card that I made. I used one of my all time favourite Magnolia images called Prima Ballerina Tilda from Little Circus Moscow collection, 2013. Image was coloured using Distress ink pads. 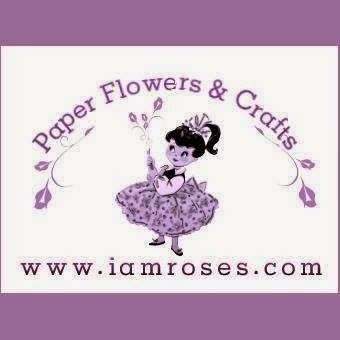 Papers used are from Doodlebug and Simple Stories. Pretty dies used on this card are from la-la land crafts, Magnolia, C.C. Designs and Gummiapan. 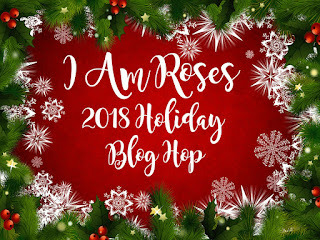 I added some gorgeous flowers from I am roses too.